As a 14-year-old Somali refugee, she came to Sweden. 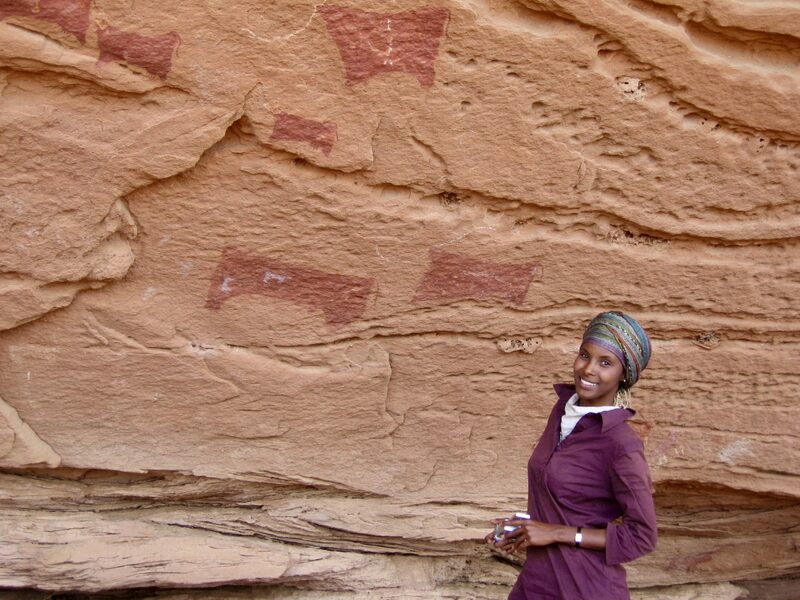 Now she works as an archaeologist in Somaliland. Sada Mire is the only archaeologist of Somaliland. “That often means choosing between doing scientific research or taking action,” she says from her home in Great Britain. “At the moment, for example, I am more activist.” She stimulates tourism to Somaliland by bringing the country’s heritage to the attention. Like the 5,000-year-old prehistoric rock art of Dhambalin that she herself discovered. On a surface of twelve by four meters giraffes, dogs, snakes, cattle, sheep and hunting people are depicted in red and white. Some animals do not have a head. The five thousand-year-old images of people and animals would normally be part of the UNESCO World Heritage, she believes. But Somaliland, which declared itself independent in 1991 at the beginning of a civil war, has not been recognized internationally. The story of Sada Mire the archaeologist is also that of Sada Mire the refugee. At the beginning of the Somali civil war, her father, a policeman, was murdered. Her mother fled to Sweden with Mire and her twin sister. Although she specialized in archaeozoology and acquired the historical Scandinavian fauna, she also kept her Somali roots busy. After graduating, she moved to University College London to promote on ritual landscapes in the Horn of Africa. In colonial times, British officers went to investigate ruins near their post in the north, but there was no systematic approach, there was no contact with the local population, and excavated objects were taken to Great Britain. In the south, the Italians built a museum in Mogadishu in 1934, but that was mainly ethnographic and had little to do with the past. After the independence of Somalia in 1960, foreign archaeologists and UNESCO went to work, even now without involving the local population. When the civil war broke out, the warlords organized illegal excavations to finance their struggle.